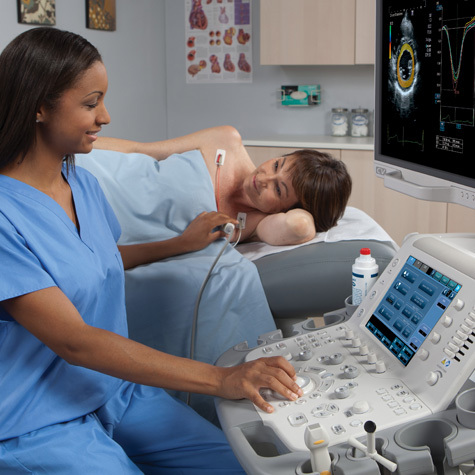 Courses for Sonographers on the most effective operation of diagnostic ultrasound equipment and about current trends in healthcare as it affects imaging practices. Many of these courses provide CE or CME credit to help Sonographers fulfill their continuing education requirements. This presentation will highlight the abnormal findings in the 11-13 week fetal ultrasound. The objectives of the presentation are to discuss nuchal translucency and its management, as well as to review early evaluation of fetal anomalies and potential diagnostic pitfalls. The role of ultrasound has evolved to become part of a multimodality approach and works in conjunction with MRI and mammography. Dr. Kulkarni discusses the current targeted and non-targeted indications of breast ultrasound. Dr. Kulkarni discusses the imaging presentation, diagnosis, and management of cystic lesions of the breast. Imaging findings from ultrasound and MRI mammography are used to differentiate and discuss simple cysts, complicated cysts, and complex cysts (type 1-4). Dr. Anthony Hanbidge reviews the value of ultrasound in assessing acute pain in the RUQ, as well as to identify the imaging features of acute cholecystitis and its complications. Acute pain in the RUQ when the gallbladder is normal.